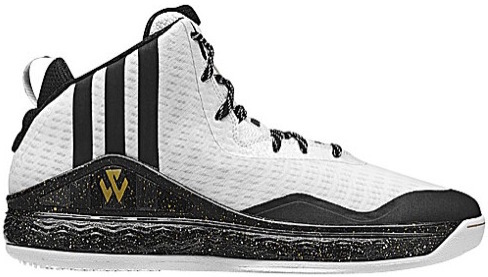 One got in, one was snubbed, and one is sitting out – adidas’ top point guards in John Wall, Damian Lillard and Derrick Rose all have all-star signature shoes that are available now. 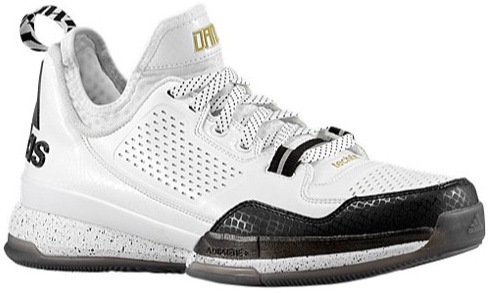 The new signatures in the adidas J Wall 1 and adidas D Lillard 1 feature a similar themes; with white, black and gold playing as a central theme to both colorways. The D Rose 5 Boost takes inspirations from the past, with the adidas Originals signature Superstar shell toe being replacing the traditional toe box. All three did not receive price hikes from previous rendtions, with each colorway listed in the caption of each shoe. You can purchase the 2015 adidas all-star pack at the links directly below each sneaker image. I hope they’ll be another performance review on the D Rose 5 “Brenda” because, I think the new woven upper could make a difference. I make a point to try to steer buyers away from the L train all of the time, and to the Alternates all the time. All the same people like that shiney red material til they try to hoop in them. People like the KD Trey, it looks a lot like a strap removed from the now double original price of the KD line. The Kobe Mentality is overlooked by markdowns of the Venemous, ect when truely all Nike purchases should be looking at Jordan brand, but only due to FlightPlate- however this will not affect Nike’s big 3’s +1 shoe sales & I don’t think anyone is throwing those in over The Rose 5, UA’s ClutchFit 2- Micro G has been great now they have the signature athlete on center stage. Nike really did fantastic snatching up Kyrie Irving as the attention he would recieve with Lebron. 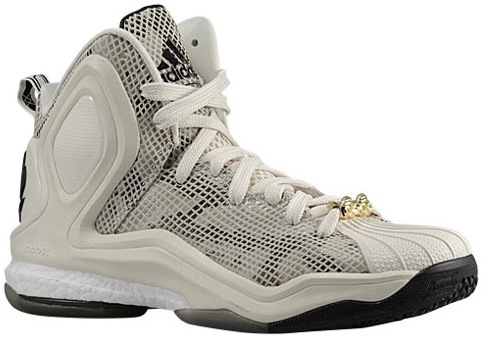 Li Ning made some huge flaws, which turned a lot of attention to the J Crossover. Nike Prime Hype & Hyperrev were great. I apologize for the little rant busy sales week!! Personally I feel from a standpoint of having worked in Performance Shoe sales. Nike has their big 3+ fancy handles Irving. (and Harden is getting added in by next year), as of a year ago UA storming into basketball with S Curry, Rose returning to form- this is probably why we saw a delay in Dame’s shoe being released; Adidas had to see that he was going to last & he has lasted and as Rose’s game since Dec has been getting better and better, which oddly is when I started to realize “wow these shoes are fantastic.” So yes, you had in the sneaker community, here and on any other Performance sneaker head site- Hype and preconceived notions got the better of most people, about the traction being t he flaw in this shoe and cushion would be a plush yet responsive-The overall support, fit, traction, style, if taking out all of the “hype” beforehand- consider this as just an Adidas new cushioning system much like NW mentioned this is a great place to start. Given the material changes, the insole swap being a realized that’s a hard shoe to sell & a hard review to write, when Nightwing has kept Rose’s shoes on radar ever since placing the rose 2.5 as number 1 a few years back and upsetting Nike wearers; I feel Adidas made the mistakes and has fixed them- honestly until you realize, the L-Train was a bad material start,.the fact Sadly the L-Train was the highest selling colorway of the model as of new years- It’s a bummer. When you see the Rose playing, look at what he’s wearing, look at teammates wear. Noah and Rose both wear The Alternate Away Alternate Home and (Rose wears BHM and anything else Adidas tells him he needs to), ect. So yes at that point the hype was similar to the preseason when Rose was scoring a point per minute Ala Rose v Irving at Ohio State. Now we’r seeing Rose really look like he should of made the all star game over Kyle Korver, but realistically like those L Trains from a mere 4 months ago, we weren’t sure night to night if Rose was going to fall down in a and walk himself out of the game (Toronto game hamstring) (step on a foot opening night) or take over like he did when Chicago ripped apart San Antonio or recently his 30 pts in a win over Cleveland. All and all, I know this site has shown love to the Adi Rose line for a long time placing the rose 2.5 as number 1 in the top ten a few years ago, the Rose 3, was a instant classic, never to be seen on court other than T-Mac sporting for San Antonio and Portland’s Damian Lillard using that similar colors & logo to help Adidas remain relevant and now get Dame paid , the Rose 4, traction improved, yet same result. As a fan of shoes, basketball, D Rose and again D Rose kicks- we can finally know when we pick up our controller for 2k15 Rose will be available night to night, as I Shook my head many times when going to war with Hinrich at point. Alright, I smoked too much and have typed far too much. One love well 2 because the kicks. Ive typed too much to not post this. Call Adidas if you purchases the L train explain the problems, they will have you ship it in, and will grant you the money back for purchases made at Adidas stores- if you got the L Train get the Brenda, or the Dame, or John Wall’s (Walls?) Get your money back if your Jordan’s Air unit or Woven upper is torn, at least you didn’t buy a KD TreyV 2 over a Kobe mentality… Oh the Adidas money is a gift card number it never expires get a Rose 6 next year or w.e. Now we can finally look ahead to a Rose 5.5 & continue to see the sneaker landscape translate into hoops or the other way around. UA, Adidas, Flightplate, or a signature Nike shoe. There seems to be a balance setting into our beloved, our true valentine’s being our kicks. Hope I can post this with out any problem to site’s.. Picked up the J Wall 1’s All-Star and they are really nice.